Story: In a happy suburban neighbourhood surrounded by white picket fences with flowering rose bushes, sits a black house with a dead lawn. Unbeknownst to the neighbors, hidden beneath this home is a vast secret hideout. 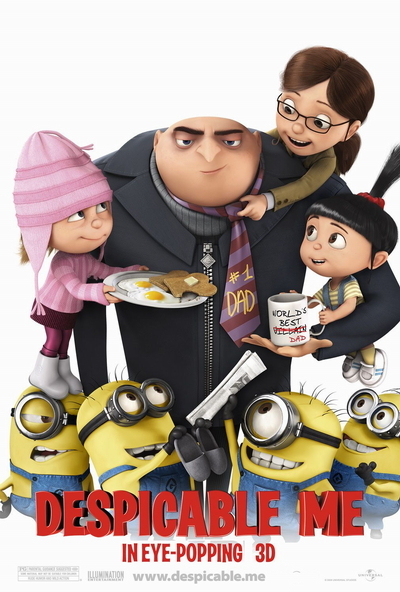 Surrounded by a small army of minions, we discover Gru (voiced by Steve Carell), planning the biggest heist in the history of the world. He is going to steal the moon (Yes, the moon! ).